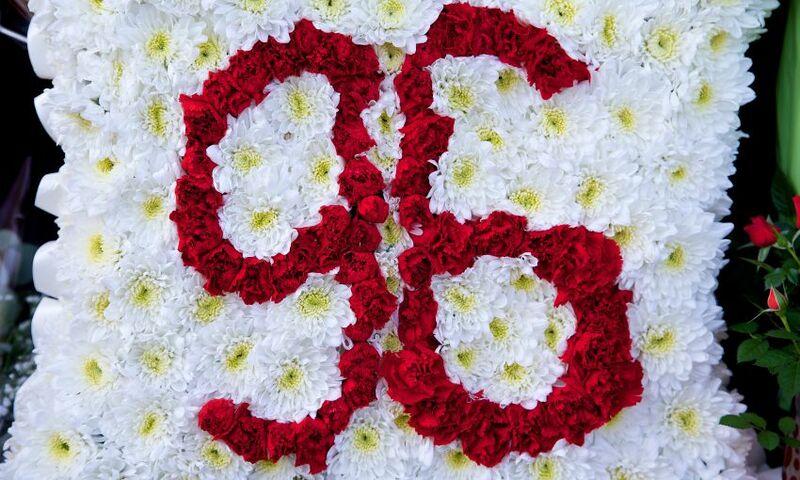 A teenager may have started breathing on the pitch at Hillsborough, the inquests into the 96 deaths heard. The court, in Birchwood Park, Warrington, heard 15-year-old Kevin Tyrrell, from Runcorn, was given CPR on the pitch after being carried out of the Leppings Lane terrace. Police constable Gerald McManus said Kevin vomited and then appeared to start breathing again as he was resuscitated. But he said the breathing stopped and they continued treatment until Kevin vomited again and he then felt the teenager’s mouth stiffen and assumed he had died. Medical expert Prof Jerry Nolan said it was likely Kevin had stopped breathing and didn’t have a heartbeat when he was given CPR. But he said if Mr McManus’s description was accurate it could suggest a return of breathing. He said it was also possible what Mr McManus had described was aganol breathing - gasping breaths which can be seen around the time the heart stops. Pathologists Dr Nat Cary and Dr Nigel Cooper said a post-mortem report showed few signs of asphyxia. Dr Cary said there were descriptions of grazing and bruises on Kevin’s face - which could be consistent with him being smothered. He said: “He’s also described as slimly built and we think that people of slim build may have been more vulnerable to being smothered up against someone else. The court heard 17-year-old Stuart Thompson, from Formby, had probably suffered cardiac arrest before resuscitation attempts were made on the pitch - but experts could not be sure. The court was shown footage of Stuart being carried out of pen three at about 3.20pm and treated on the pitch by three police officers. He was carried across the pitch on a hoarding at 3.27pm and confirmed dead in the gymnasium at 4.04pm. The court heard 27-year-old Barry Glover, from Ramsbottom in Bury, was carried on a hoarding from the Leppings Lane end of the pitch to the Spion Kop end, where he was treated by off-duty nurse David Evans and Sheffield Wednesday club doctor Dr William Purcell. Footage from 3.36pm showed the two medical professionals working on Barry. Pathologists Dr Nat Cary and Dr Nigel Cary said all of the five victims discussed died of compression asphyxia. 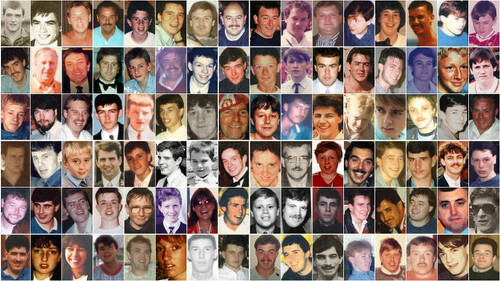 A 17-year-old was “given a good chance” when he got to hospital - but earlier intervention could have made a difference, the Hillsborough inquests heard. St Helens teenager Stephen O’Neill, whose uncle David Hawley, 39, also died in the disaster, was treated at the Leppings Lane end of the pitch before being taken to the Northern General Hospital. A post-mortem recorded Stephen had a needle in his arm and heart monitor stickers on his chest - showing he was given advanced life support when at the hospital. But medical expert Dr Jasmeet Soar said he thought Stephen’s heart had stopped by the time the ambulance he was in left the pitch, at 3.39pm. He confirmed there was no evidence about when Stephen was taken out of the terrace or what condition he was in at that point. The court heard Stephen Harrison, 31, also received advanced life support both on the pitch and in hospital. The jury was told the dad-of-four, whose brother Gary also died in the disaster, was given CPR at the Leppings Lane end of the pitch before being moved to the Kop end where resuscitation attempts continued. Dr Miles Davidson and Dr Roger Quartley, sent as a mobile medical team from the Northern General Hospital, administered adrenaline to him on the pitch and inserted a tube into his airway before he was taken to hospital in an ambulance. He was given 45 minutes of treatment in hospital before being confirmed dead. But Dr Soar said the former Netherley Comprehensive School pupil was probably dead by the time Dr Davidson was seen approaching him on footage at 3.51pm. The court heard a post-mortem report recorded a number of chest injuries, which forensic pathologists Dr Cary and Dr Nigel Cooper said were likely to have been caused both in the crush and during resuscitation attempts.